First of all I want to mention that not all inflammation is a bad thing that happens to us. Without this natural response we could be in big trouble. Our body gets the needed signals from our immune system that sends out an alarm that something is wrong and needs to be healed and repaired in some way. This is the type that we will talk about on this page of my website. 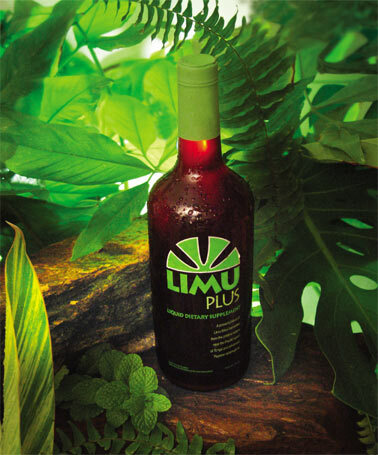 Limu is an anti-inflammatory. One of the primary active ingredient in Limu Plus is called fucoidan. which has been the subject of 600 studies. It can assist us with our joint care, improves degestion, helps support the liver, improves blood function [or blood flow] improves stomach function and enhances our cell and skin growth. Let us now discuss the meaning or definition. Definition #1: It is a localized protective reaction of tissue to irritation, injury, or infection, characterized by pain, redness, swelling, and sometimes loss of function. (American Heritage Dictionary). Definition #2: The reaction of a part of the body to injury, or infection, characterized by swelling, heat, redness, and pain. The process includes increased blood flow with an influx of white blood cells and other chemical substances that facilitate healing. (The American Heritage Science Dictionary). These two definitions tell us of the natural process our body will go through if we are injured in an accident, a slip and fall, a twist of the ankle, or an infection of some kind. (Infection is the invasion of our body by a microorganism, a bacteria or virus. These can multiply which in turn if not stopped can cause tissue damage and disease of some kind). Any number of things will trigger off the natural response from our immune system. Our immune system gets a signal very quickly and goes into seek out and find mode. It will find where the problem is and then go into heal and repair mode. Lets go on to see what will happen to us in different circumstances that we face in life. What are the symptoms I will feel to a virus, a reaction to dust, mold, or bacteria? These flu-like symptoms will be. * Feelings of fever and chills. * Achy or Muscle soreness. * A feeling of being Very tired. * No appetite. You just don't want to eat. * Swelling of muscles or joints. * Pain in the area of the injury. * You will also experience loss of function in the area of injury. * Which means for a time you may need to stop or slow down any exercise until the swelling goes down. The swelling is caused because our body has sent an increase of blood flow into the injured site. This helps our body heal and repair itself in a quick and orderly fashion. As you can see many of these symptoms can be very uncomfortable to have to go through at the time. These will shut off as the healing process comes to a completion. This is what Doctors call acute inflammation. Just remember that it is natures way of keeping us alive. * Myocarditis involving the heart muscle. * Colitis involving the bowels or whole digestive system. * Nephritis involving the kidneys. * Prostatitis involving the prostate gland. * Tendonitis involving the tendon where the muscles connects to the bone. * Cholecystitis is gall bladder disease. As you can see many names that are given to the diseases of our time have the ITIS to the ending of them. This also means that many of our modern day diseases have a direct or indirect link to have a direct or indirect link to chronic inflammation. Dealing with chronic inflammation is important because this means that this type of condition has been around for longer than it should be. This can be lurking in the body and be growing stronger and stronger as the days and months go by only then do you start to feel the symptoms of something is wrong. So listen to your body and the early warning signs that it is trying to tell us. That is the time to start to eat and juice anti inflammatory foods.